How do you communicate with guests about responsible practices? This post gathers the key lessons learned from the winners: Cayuga Collection from Costa Rica, Slovenia Tourist Board, The North Island Seychelles, The City of Santa Fe and The Lodge at Chaa Creek. Hans Pfister, Cayuga Collection: The most successful way is to invite them to our “back of the house” tour. We hide nothing. We show them everything. They go on a 2 hour tour of hotel and see the kitchen, laundry, staff areas, storage facilities, treatment plants, etc. We teach them what it means to be a sustainable hotel or lodge. They are usually blown away by this as they never have a chance to see the back of the house of a hotel, nor do they imagine the efforts that go into being sustainable. If they don’t have time for that, we also do evening presentations or they can read about our efforts in our guest book or online. 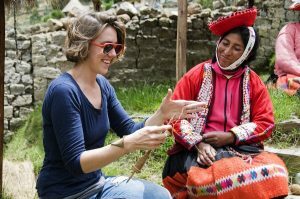 Lucy Flemming, Chaa Creek: More than just communicate to guests, we have always endeavoured to actively involve visitors in our approach to responsible tourism. For example, during tours of onsite attractions like our Belize Natural History Centre, Butterfly Farm, Maya Organic Farm, Medicinal Plant Trail, and guided nature walks, cultural tours, village visits and other nature-based activities, we both explain our efforts, and encourage feedback. We have found that by involving guests, they are eager to provide their own ideas and experiences, and over the years they have contributed to our efforts in this area. Also, though initiatives such as “Pack-a-Pound”, where guests are encouraged to add a pound or more of school supplies for disadvantaged students to their luggage, or post when they return home, they create an interaction that enhances their travel experience and builds bridges between overseas visitors and local schools and communities. In short, we strongly believe that, to be effective, sustainable tourism involves a partnership between guests, local communities, and ourselves. Read more statements from the National Geographic World Legacy Awards 2017 winners and finalists here.